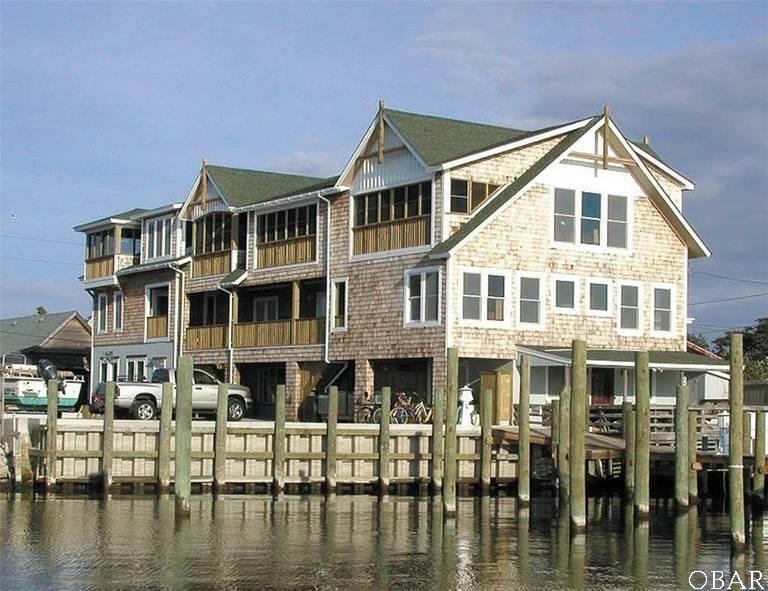 A luxurious 2 bed+ bonus room/1.5 bath condo (2nd from left) in the heart of the village with its own 40' deep water boat slip w/power, water & internet access! 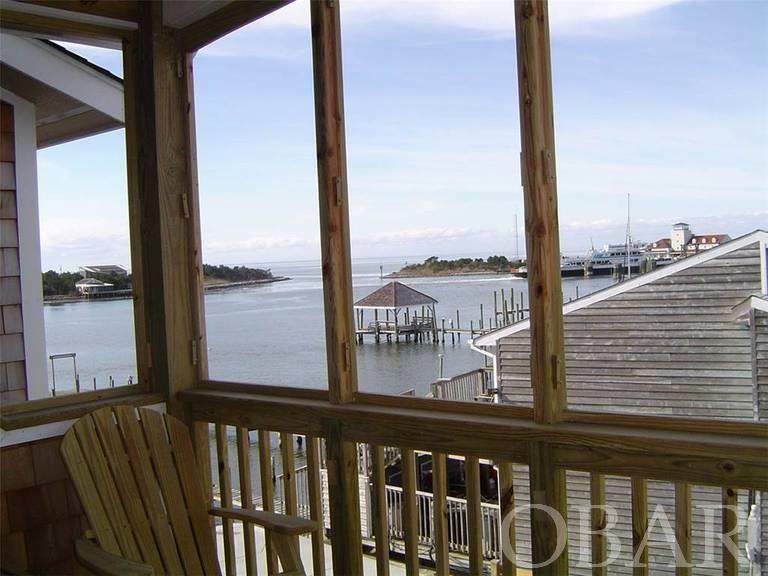 Built in 2006, this bright & cheerful multi-level, reversed floor plan unit has a screen porch with beautiful views of the sunset, harbor, Silver Lake & Pamlico Sound. Sit on your screen porch and watch the passing boats and ferries. Walking distance to all island activities, restaurants and shops. A large, beautiful "Jack and Jill" bathroom with double sinks, granite counter tops, over-sized jetted tub, glass block window & a generously sized separate tiled shower. A step-up bonus room offers a 2nd living area or den. 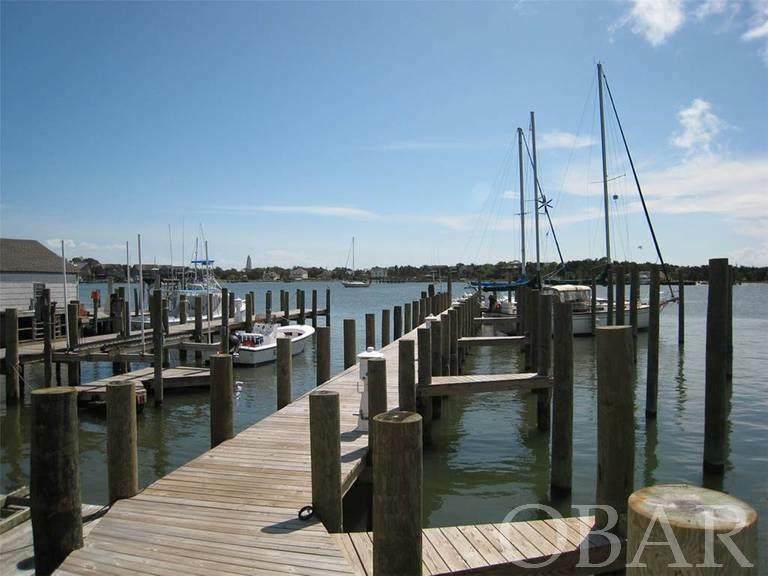 Listing includes Down Creek Unit 103 and Dock Slip #7. 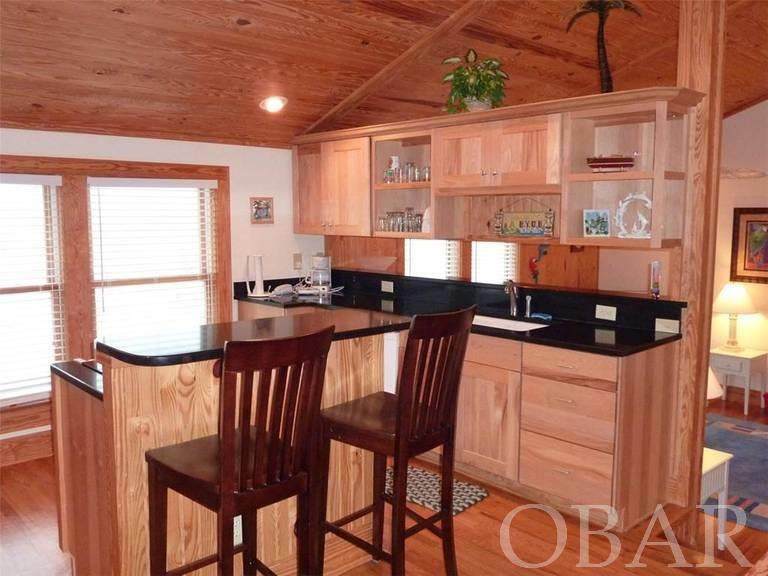 Listing courtesy of Donna Drilling of Village Realty Holdings Dba Ocracoke Island Realty.